Morrisons is restructuring its senior marketing team as it prepares to roll out its convenience and "store of the future" formats. Incumbent marketing director Richard Lancaster has been given a wider remit and will be responsible for price and promotions across all store formats. He will also supervise the retailer's look and feel from a customer-experience perspective. Lancaster will still be responsible for overseeing all marketing communications. His new title will be corporate marketing and operations director, with responsibility for "merchandising, space and format". The day-to-day control of marketing operations will be left to James Condon, who previously worked for Tesco as brand communications and trade planning director, and at Asda as global head of marketing for its George clothing brand. Condon, who joined the company six months ago on an interim basis, will now assume a full-time position, where his responsibilities will include advertising, in-store marketing, print services and local marketing. Morrisons entered the convenience store market in July with the opening of its first M-local store in Ilkley, Yorkshire. It is currently trialling various innovations, including new ways of working, and experimenting with space, as it prepares to deliver "stores of the future". The "stores of the future" will not be a new brand, but are instead an attempt by the retailer to improve the customer experience across its stores. 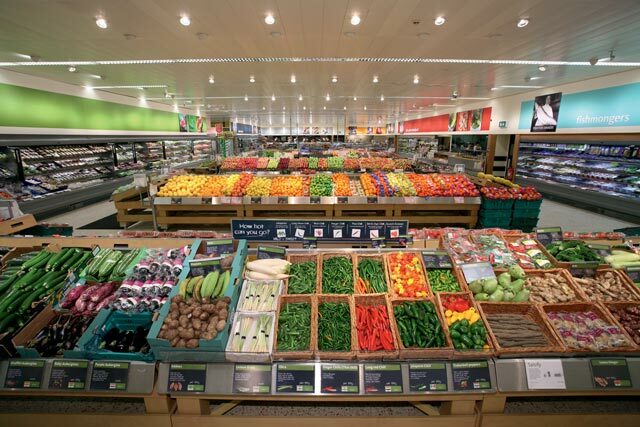 Various trial stores across the country, including Kirkstall in Leeds and Skipton in North Yorkshire, are experimenting with ways of improving the shopping experience through measures including improving the store layout and enhancing customer service. Design agency Fitch is helping deliver the new store layouts.